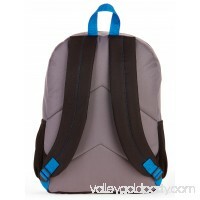 DC Comics Batman 16" Backpack.Cordura body with PE piping. Quilted front panel.Direct Puff print. Side Mesh Pocket. 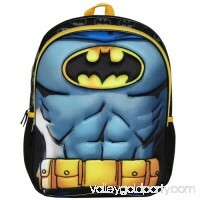 DC Comics Batman 16\" Backpack Cordura body .. 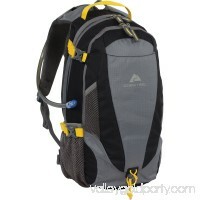 This Ozark Trails Larimore Hydration Pack will be great for your next outdoor adventure. 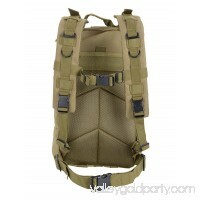 2L hydration reservoir includedExpandable quick-stash front pocket14L C..
Material: Polyester. 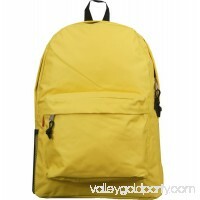 Size: 18"x13"x6" Description: 18 inch Basic low cost good quality backpack, main compartments with double zipper A main compartments with d..
16 inch Basic low cost good quality backpack. Material: Polyester. Size 16"x12"x5". 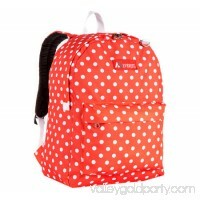 Main compartments with double zipper, Zippered front pocket, Adjustable padd..
Be the center of attention all-year-round with the stylish Eastsport Emma Girl's Student Backpack with Secure Laptop Sleeve. 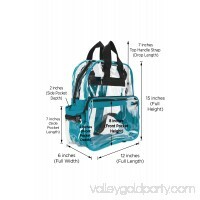 This fashion-forward bag is equippe..
DALIX Clear Backpacks can be used for any sporting event arenas, for safety purposes at your job, or just to look cool! 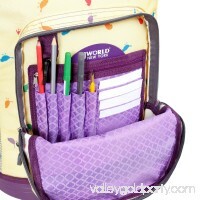 With a main zippered compartment to stor.. 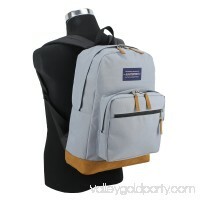 Features: Great for traveling, hiking, camping , etc. It is waterproof and breathable Wide shoulder straps help take the stress off your shoulders ,save energy..
FUN DESIGN - Our Wildlings Kids Backpack is an ideal companion for school, trips or sleepovers. It measures 11.81 x 9.84 x 16.14, and comes with a one-of-a-k.. The J World Sunrise 18 in. Rolling Backpack is a sturdy, stylish accessory that's just as perfect for toting around campus as is it as a dynamic carry-on. The b.. The Eastsport Power Tech Backpack with External USB Charging Port offers amazing hi-tech equipment for the savvy, tech geek on the go. This backpack has an exte..
Go traveling, back to school, or to a sleepover in style, with your belongings neatly stowed in the J World Sunrise Rolling Backpack. 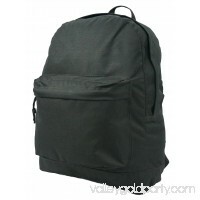 The versatility of the Sun..
Black Panther 16" Full Size Backpack This trendy style is great for year-round use, and has a zippered main compartment, front accessory pocket, & adjustable sh.. 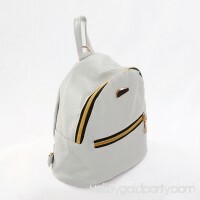 Specifications: Suitable for travel, shopping, school, etc. 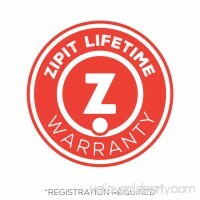 Zip around opening and closure, safe to hold your goods. 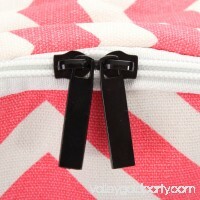 Adjustable shoulder straps, convenient to u..
What's not to love about this backpack? 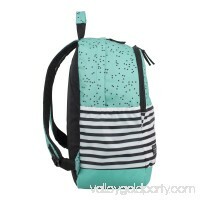 It comes in funky prints and patterns and has padded shoulder straps as well as a front zippered compartment and key rin..
Gender：FemaleAge Group：Adult,,Child ChildMaterial：Canvas Women Girl Canvas Backpack in Spanish Hiking Travel Shoulder Satchel Bag School Rucksack ..